Brightwater hold the agency for Saxlund Push floors in New Zealand and Australia. 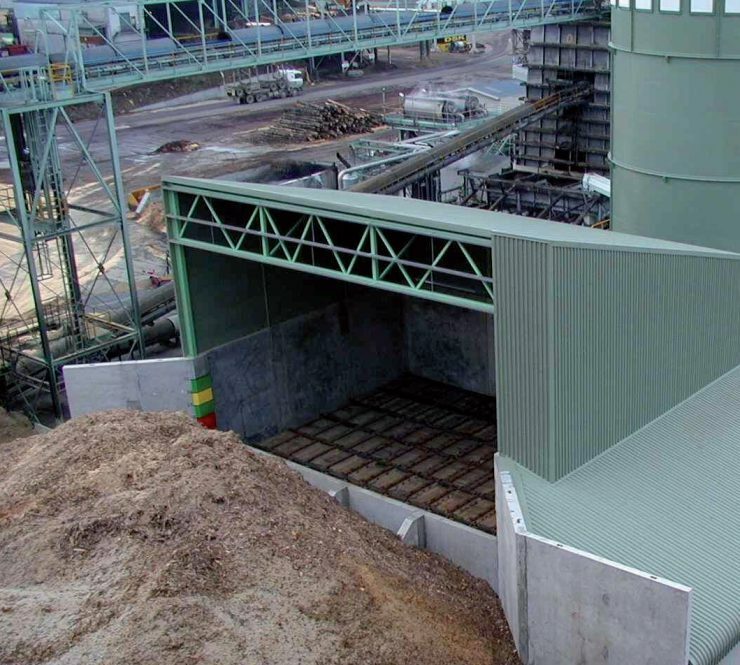 We are able to design, supply and install to meet local conditions and a wide range of storage materials. The Push Floor is an ‘original’ discharger design by Saxlund International for square and rectangular bunkers. It is designed to function with non free flowing and difficult to handle bulk solid materials. The flat bottom floor concept gives many advantages and the Push Floor can be used in a number of different configurations to suit the client’s particular requirement. Reliable discharge and accurate metering can be achieved on demand. The Push Floor is driven by a hydraulic system that moves a number of parallel pusher frames or ‘ladders’ in reciprocating motion across the bunker flat floor. 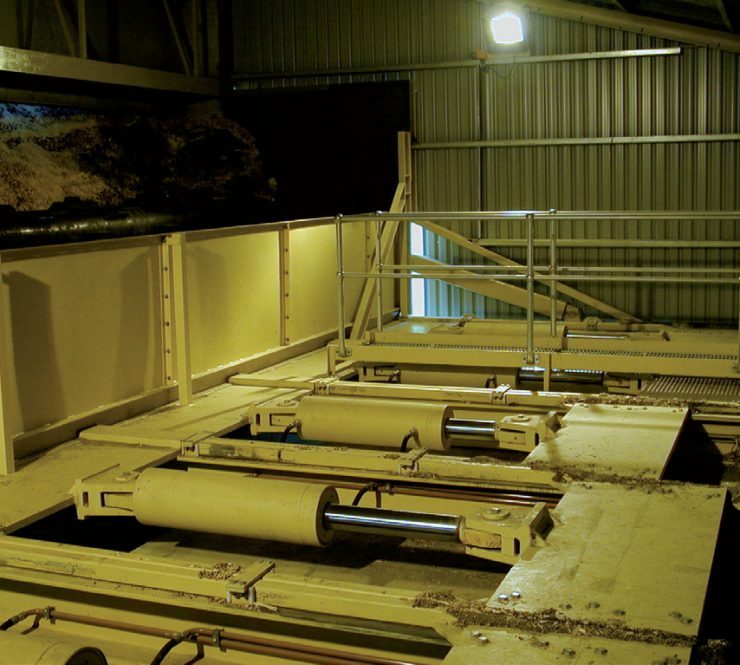 As it does so it digs the stored bulk solid material from the bunker and delivers it to a screw conveyor or other machines. Either the screw or the pusher frames themselves perform the required metering function from the bunker. The Push Floor discharger is especially suitable for handling heavy, wet and generally non-free flowing bulk solid materials.